Sudden cardiac death accounts for >300,000 deaths per year in the United States alone. However, several clinical trials failed and tested drugs increased molarity. Therefore, deeper understanding of the mechanisms of arrhythmias is required. 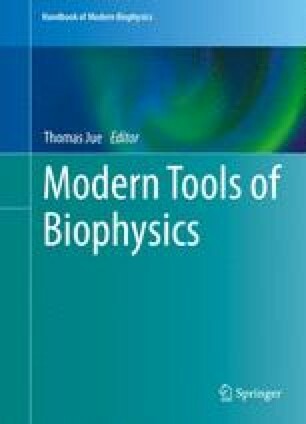 The goals of this chapter are (1) to learn how to make a mathematical model of the cardiac action potential, (2) to learn how to simulate the model and analyze the dynamics, (3) to learn how to parallelize the code to simulate computationally intensive models. I would like to acknowledge funding support from National Institutes of Health grant R00-HL111334, American Heart Association Grant-in-Aid 16GRNT31300018, and Amazon AWS Cloud Credits for Research. Using Echebarria–Karma model shown in this chapter, make plots of voltage vs. time, h gate vs. time, and f gate vs. time at PCL = 200 and 140 ms.
Make plots of voltage vs. time, h gate vs. time, and f gate vs. time at PCL = 200 and 140 ms for faster and slower recovery time constants (τf) of Ca channel. Which one is more arrhythmogenic? Make a plot of APD vs. PCL for faster and slower recovery time constants (τf) of Ca channel. Using the data from problem 5.3, make a plot of APD vs. DI for faster and slower recovery time constants (τf) of Ca channel. Onset of alternans, what is the slope of the curve? Using the C code of the 2D tissue simulation and the CUDA code of the 1D tissue code, write a CUDA code of the 2D tissue simulation. Figure 5.3a is the result for PCL = 200 ms. Figure 5.3b is the result for PCL = 140 ms. The sample code is available from http://example.com/samplecode/. Slower recovery promotes alternans and thus more arrhythmogenic. The sample code is available from http://example.com/samplecode/. APD restitution curves become steeper as the recovery time constant becomes larger.